Antipode author Kendra Strauss will be speaking on BBC Radio 4’s ‘Thinking Allowed’ programme tomorrow, Wednesday 27th March, at 16:00 GMT. 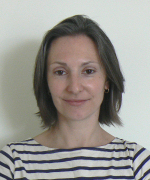 Cambridge geographer Kendra has been invited to take part in the show ‘Industrial ruination: Gang labour in the UK’, talking about her recent Antipode paper ‘Unfree Again: Social Reproduction, Flexible Labour Markets and the Resurgence of Gang Labour in the UK‘. Sussex geographer Ben Rogaly will also be on the programme, which is presented by Laurie Taylor and can be heard live here (it’s now available as a podcast/download). 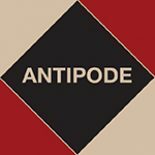 This entry was posted on 26 March 2013 by Antipode Editorial Office in News and tagged gang labour, gangmasters, guest workers, labour geography, migration, slave labour, social reproduction, unfree labour.